Med School 101 - for patients & their caregivers! Another book, another physician author! Like my last review on pain, this one is directed at patients and their caregivers for improving their experience. Kilbourn Gordon III, M.D., an ER physician, wrote “Med School 101 for Patients,” as a step-by-step guide highlighting the importance of communication and information within the patient care experience. In other words, patient and/or self-advocacy and speaking up. According to his guide, the patient must play a direct role in being comprehensively prepared when receiving an evaluation or treatment. Since visits can be limited to as little as 15 minutes, the patient preparation and involvement in the visit becomes paramount. Relying on his real-life interactions with patients and their styles, he guides readers in preparing for their doctor viits. He stresses that everything that happen during this session being important, including your preparedness, personal notes, questions and your expectations of your caregivers - starting with the doctor. Since I have had my own experience in the delayed diagnosis of Guillian Barre Syndrome, I was truly delighted to see that he includes strategies for uncovering the correct diagnosis when no physician has been able to uncover the medical truth. Dr. Gordon encourages patients to become proactive participants in their own assessments and therapies. While it took me 8 months of fighting and proactive searching for an answer, and one more month until I could finally receive the needed treatment, it has unfortunately taken others years to get to the point where I find myself today. Doctors are human and can be wrong! Yes, even the best and the brightest, like my neurologist with stroke expertise, can miss something important. Since it is the patient who suffers, or doesn't, it really is up to us to drive our destiny and not become victims of the healthcare delivery system. I've always believed that if you work hard, you can attain your goals. The goal of a proper diagnosis and the right treatment is no different! If you read the book and have any remaining questions, leave a comment and I'll find a way to get you an answer! 4. Communicate with love. If you’re feeling stressed by interactions with family or others, take a breather. You might go outside for a few minutes to get some fresh air. Be kind to everyone, including yourself. Give hugs. Make sure you’re not overreacting. None of us communicate perfectly. Try to see what others are really mean, not just what they say. Give them the benefit of the doubt because it’s likely no offense was meant. Ask for clarification and react appropriately, with kindness, love and forgiveness. Some people really don’t have a handle on their behavior but it doesn’t have to affect how you feel or be your problem. 5. Choose Your Emotions: Most people have this mistaken belief that our emotions choose us; that we are at the mercy of whatever emotions we tend to start feeling. But the reality of it is, no matter what the circumstance is, we always are choosing our own emotions. It’s important to recognize that fact. You don’t always have control over what happens to you but you can choose to respond proactively. 6. Identify and release “trapped emotions,” unresolved feelings from past negative and traumatic events emotional baggage can cause us to make wrong assumptions, react emotionally and contribute to anxiety, depression and most forms of illness. These tips are especially important for those already fatigued by chronic conditions, especially chronic pain, and the stress of navigating the care system. Start now by taking a deep breath and working through each of the tips to truly prepare for the holidays! As a young hospital administrator I attempted to be empathetic and compassionate when I was speaking with patients. But, I didn't always know how I was perceived. Then I came across the book, What Can I Say? - a guide for healthcare professionals and family and friends who care about those with injuries or illness. Now in its third edition, the pocket size book helps prepare those who want to avoid feelings of loneliness and visit friends and family who are ill and/or hospitalized. It covers what to say, but more importantly helps us be more caring and understanding by recognizing what should not be said. It also prepares visitors for the emotions and stress they may encounter. If you have read this wonderful book, leave a comment with your thoughts, if not, purchase one for yourself or to share with someone who needs it. Tags: caregivers, compassion, family, friends, illness, pain, suffering, visiting hospital patient, What Can I Say? Dr. Howard Adkins has written The Dash of Doctor Todd; a book that gives us a peek into the practice of medicine in pioneering environments of the Wild West. It makes one reflect on the struggles, austere environments and just how far we have come in knowledge and techniques. However, it is also a fascinating story of a young doctor embarking out beyond the world known and comfortable world to bring his skills to those in real need. Dr. Adkins drew upon facts from his great grandfather's practice of medicine in the Oregon and Idaho Territories to create a setting and story that rolls and shifts across the waves of an ocean; just like the whaler - Ellie Mae. The adventurous saga of an American frontier doctor is set in the mid-nineteenth century and reflects his struggles to find meaning in life and desire to heal while being constrained by limitations in tools and knowledge. This includes being open to the methods from other cultures. For those of us who have watched the evolution of medicine and healthcare, this story broadens our view and makes us truly appreciate the advancements we have accomplished. While there is always room for improvement, we have come a long way... baby! 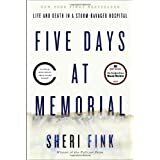 My latest opportunity to read a book written by a physician takes me into an area of medical practice that I'm exploring and looking to find the truth. I've never been one to blindly follow; instead I prefer to question and make sure nothing has been missed and overlooked. Medical marijuana and the shift I see underway is an area I'm considering, because as I age I want to make sure that all reasonable options are available to me and my family. Dr. James Forsythe is an oncologist and homeopathic physician who practices in Reno Nevada. His ranking on Healthgrades looks good and there is only one comment on Yelp, but it is negative. So, on to what I got from reading the book. Dr. Forsythe has been conducting a study of 800 patients over 5 years on patient's with cancer. Of those with advanced Stage IV cancer, the 5 year survival rate is 67%. This compares to the national rate of 2.1%. He believes in providing choices for patients, especially for those who are told to "get their affairs in order" by their oncologist. He has established his own protocols and conducts chemo sensitivity testing (genomics generated cancer chemosensitivity) on his patients to identify the drugs that will will work best. My belief is that we need to look at the use of cannabis as a medicine with open eyes not clouded by rose-colored glasses or the moral judgements of of those who came before us. We should instead use our own critical thinking skills to see if this will work. Legitimate research will certainly be an excellent first step. If you do read Dr. Forsythe's book, leave a comment and let me know what you think. One of my favorite authors has a new book that is a bit different from the ones I first read - Behind the Mask and Under the Drapes. Dr. Gelber's latest book is Night Clinic the story of a primary care physician who works at an inner city clinic operating day and night. He works the night shift and as you can image sees some of the more interesting, sketchy and shady characters who roam the streets at night. I find it interesting that Dr. Gelber's story is about a primary care physician when he is a general surgeon. However, much more interesting is the obvious fact that Dr. Gelber has a very creative mind. Those patients seen by Dr. Barnes and his nurse Miss James also include the supernatural, such as, ghosts, werewolves, dwarves and more. Some of their ailments are what a physician might see in a typical clinic, but others are bit unique. This book keeps the reader guessing and it helps stretch our imaginations. For those of us who work in healthcare, it also makes us realize some of what we have seen isn't that unusual after all. My latest read One Doctor: Close Calls, Cold Cases, and the Mysteries of Medicine was written by an internist turned hospitalist, Dr. Brendan Reilly. He explores the reality and challenges of being a physician, caring for patients and the healthcare delivery system. He describes the struggles, from his perspective as a physician, and the challenges of reducing costs and improving care. Dr. Reilly also shares his insight into the complexities of "medical errors", the delicate balance of advocating for the patient and what is right for society, and shares specific reasons why we should all care about end-of-life planning -- especially our own. He gives readers some insight into medical education and the symbiotic relationship of traditionally trained physicians and those being prepared for the future in medicine today. Medicine is truly both an art and a science and this story provides real-life examples of how difficult the decision making processes can be for both the physicians and the patient and their family caregivers. It explores how the relationships between physicians and patients must be strong enough to tolerate ambiguity. He also describes, as I too have seen, how healthcare is and has been rationed - on a daily basis - in hospital's and clinics. I agree with him that Americans need to start talking and finding rational, ethical and democratic ways to set limits on medical care. We can't sustain the current path and budgets and partisanship can't fix this. We, as consumers and caregivers, need to become more educated on end-of-life care, have open and honest conversations with our families and physicians, and clearly document the care that we want and don't want before it is too late.... and the decisions are driven by hospital policy, physicians who may not really know us or emotional family struggling with making the "right" decision on our behalf. Not long ago I came across a wonderful quote by Albert Camus from his book The Plague. I realized I had not yet read this classic, so I used the quote in a recent article, Clean Hands Saves Lives, and downloaded an audio copy of the book for my long drives. "What's natural is the microbe. All the rest — health, integrity, purity (if you like) — is a product of the human will of a vigilance that must never falter. The good man, the man who infects hardly anyone, is the man who has the fewest lapses of attention. And it needs tremendous will-power, a never-ending tension of the mind to avoid such lapses." We can most certainly expect that the situation will ultimately resolve, but it will take much longer than we could ever have imagined. All of this points to the importance of being prepared as a way of helping us ease into the change as we transition into a new way of life. Perhaps this will never happen in my or your lifetime, but if it does I believe these lessons will serve us well. Reviewing the works of medical authors has been an enjoyable change of pace for me. While it did take me while to finish this latest book, it wasn’t for a lack of interest. Instead, it was needing to fit reading text into my schedule, rather than road-ready audio. Dr. Alan Wyler, a neurosurgeon, was dead right on his newest medical thriller – Dead Wrong. It was full of mystery, suspense and a battle between good and evil, as well as, smart and not-so-smart, or perhaps, ego vs. a-bit-much-ego. The setting is mostly in (or should I say “within”) a large academic medical center and there are plenty of peaks into the environment that some of us take for granted -- until we read about it in a fictional story. It also provides a bit of medical and technical education (I liked the stuff on X-ray/CT/MRI) and a bit of fantasy or futuristic science. This book is certainly not a “chick” book, so men will like it along with women who don’t mind a bit of “man talk”. Anyone involved in medical ethics may find Dead Wrong stirring a bit of “what if” thinking and those with hospital security responsibilities will find some new ideas for their next facility risk assessment. There is also a great deal in this book for those who like to think about strategy and actions and/or counter actions. But, perhaps most importantly (and costly) is that this story is a Risk Manager’s nightmare. It highlights the importance of really engaged patients, sound consent processes and enterprise-wide research oversight. Share your thoughts about this or other books by Dr. Wyler by leaving a comment. Are there others of his I should read? I've become somewhat a delinquent blogger again. Twitter just makes it so easy these busy days! However, a new article highlighting my latest book for HIMSS is giving me a little something personal to cheer about. The article focuses in on my interest in going beyond the branded social media to the underlying social technologies. I really do love it when people say "I never thought about it that way!" Yes, the technologies are here to stay even if Facebook and Twitter do ever go away. However, I suspect they will be around for a long while... just as the telephone has been around for a while. My latest book is a compilation of case studies and overviews of trends in social media technologies for healthcare environments. A recent post includes a listing of the chapter titles. The ebook has been out since just before the annual HIMSS conference, but now the paper version is available online. Please check it out, review the book sample and feel free to leave your comments on this post.